Yes, yes....it has been awhile since my last post. Frankly, without the inspiration of the letters during this 15 month hiatus from his writing...I am finding subject matter to cover...hard to come by. In general, almost all of the standard Civil War historical events have been covered ad nausea by scholars much better equipped to research and postulate about the meanings and historical significance of specific events. For me...the contribution I can make is adding that little bit of flavor on top of the research as it applies to my ancestor's involvement in certain documented events. So...that's my excuse...and I'm sticking with it. I have received a number of letters/emails from faithful followers of the blog asking me whether I am still alive. Yes...I am still alive...however uninspired I might be. Only 10 months until the next batch of letters come out and they promise to be more exciting that some of the earlier ones. Well...as exciting as John W. Derr can make them. He is still fixated on his financial situation and events at home, but there are more references to battles (The Battle of the Crater) and the longing for the war to end. What I am thinking of doing between now and then is to document his post war...post mortem events. These are the events that show the struggle of a partially disabled war veteran in a post war world. Events of his prior 4 years over shadowing the mundane life in the farm fields of Pennsylvania in the late 1860s and 1870s. His life...a short 11 years post war...documents a struggle that many veteran soldiers experience. Essentially, a life filled with condensed excitement and danger followed by the slower pace of normal life. A situation experienced not only by the Civil War veteran, but veterans of most wars. 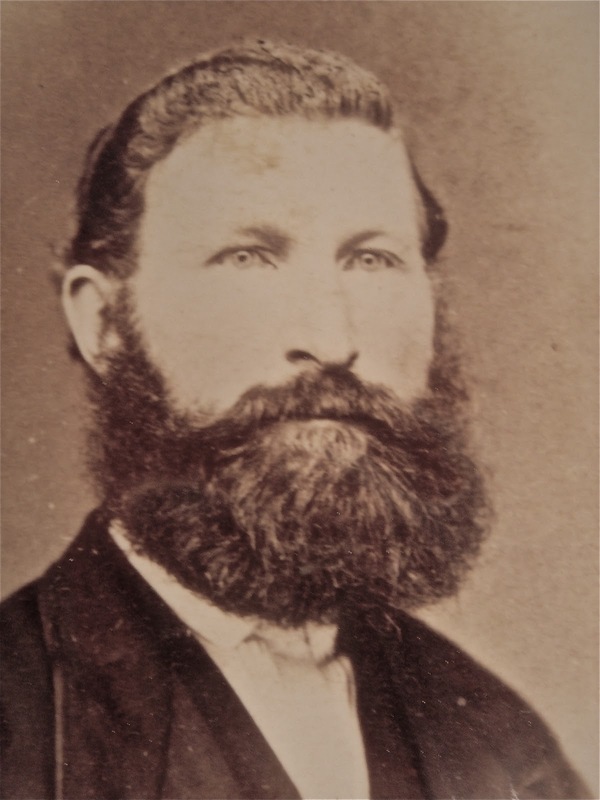 Had there been a "Wounded Warrior" organization back in the second half of the 19th century, John Derr would have been a recipient of their good works. After his death in 1876, his widow...Magdalena Derr...would struggle with two small sons. One of which was my great grandfather, George Washington Derr. The records...as documented in the National Archives under the Civil War Pension Records...show a struggle by Magdalena (or Molly as she was known) to find some level of support for her and her two sons. Back in 1987, I made a trek to the National Archives to do my first second level research on John W. Derr and his life in the Civil War. Having been exposed to stories...and the letters...and being an adult, I became more and more interested in the more subtle details of his life. 1987 was when I uncovered the "Big Family Secret" which had been buried and lost over the prior decades. A secret that my grandfather knew, but took with him to his grave. Not even my father knew the secret. So...for those who might be interested in researching detailed family history...let this be encouragement...or....discouragement. For me...more information is better than less. However, people must recognize that family secrets can really be family skeletons. Be prepared to have some notions about your family shattered and be prepared to look at life a little differently. Oh...another thing....I am very fortunate to have two wonderful daughters. One of which just had a baby son who can help carry on the tradition. My daughter is also a gifted writer. She has been imploring me to co-author a book with her on the total life of John W. Derr and his wife Molly. The book has begun, so watch for potential chapter portions online here.